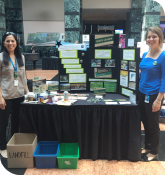 City employees participated in the 2016 People Power Challenge (PPC), an incentive-based, employee engagement program, led by Partners in Project Green. As the first and only municipality to participate in the PPC, the challenge was an opportunity for Mississauga to be recognized for outstanding sustainability efforts and environmental excellence. City staff rose to the challenge, taking action to conserve energy, reduce waste and use sustainable modes of transportation. Impressive outcomes included 837 environmental action pledges from staff, Mayor and City leaders, 38 completed green projects and 347 downloads of the interactive environmental app, Nudge. The City's Green Leader employee engagement program will continue to promote these positive actions in the workplace. 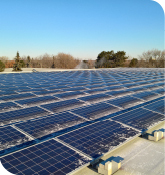 In 2016, solar PV (photovoltaic) systems were installed at Huron Park and Burnhamthorpe Community Centres. These systems will help these City facilities reduce greenhouse gas emissions, improve air quality and protect natural resources. City staff partnered with an external vendor to lease the roof space, design, install and manage the system at both facilities. It is expected that this initiative will help the City generate enough electricity to offset approximately 14 tonnes of greenhouse gas (GHG) emissions per year. The City's free Earth Markets offer a one-stop shop, market-style event that gives residents the opportunity to learn about the environment in a vibrant and fun atmosphere. In 2016, more than 1,300 residents attended three Earth Markets that included over 40 environmental exhibitors/vendors and over 10 workshops. The markets also featured film screenings, food, music and green activities. 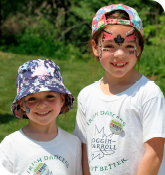 Earth Markets promote a shared responsibility for a clean and healthy environment and offer residents information and examples of ways to reduce their impact on the environment. Two Earth Markets are planned for 2017. For more information, visit www.mississauga.ca/earthmarket. Mississauga now has data that allows staff to project the future climate in the city from 2015 to 2100. These projections help the City identify the potential risks of climate change and impacts to the organization. In 2016, the Environment Division worked with an external consultant to lead a City-wide risk assessment. 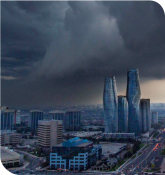 This fueled a conversation about climate change and how to best assess its risks. The team is reviewing the results of the assessment and will report back with the outcomes and recommendations to mitigate risk. Green Leaders are City employees who volunteer to champion environmental sustainability in the workplace. They do this by modelling sustainable behaviours and encouraging positive action among colleagues. 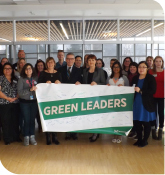 The Green Leaders program launched at the Civic Centre in 2014 and expanded to community centre and library staff in 2015. In 2016, the program rolled out to administrative facilities, arenas, museums, and Animal Services. In total, the City has 90 Green Leaders and 42 facilities recognized as Mississauga Green Facilities. Green Leaders will continue to expand in 2017 to Fire and Emergency Services, marinas, golf courses, Meadowvale Theatre, and pool facilities. In 2018, it will expand to Transit buildings and remaining staffed facilities. Mississauga remains committed to greening our city with the use of renewable energy resources. With a new contract underway, Mississauga will add 5 per cent bio to diesel fuel from April to November. As the population grows, water use has begun to climb. Work continues towards our goal of planting one million trees. Since our original commitment, 241,030 trees have been planted in Mississauga. Additional natural areas continue to be secured and preserved. 1. City of Mississauga, Energy Management and Transit. 2. Region of Peel, Public Works. 3. Canada Green Building Council. 4. City of Mississauga, Forestry. 5. City of Mississauga, Mississauga Data. * Calculation based on: New Construction, Core & Shell and Existing Building. No longer includes: Commercial Interiors, Homes and Neighbourhoods.